Last week, the Global Bitcoin Stock Exchange, for a long time the leading investment platform in the Bitcoin economy, suddenly and unexpectedly shut down. There has been much speculation about what has happened, as GLBSE founder James McCarthy (Nefario) maintained relative silence on the Bitcoin forums, and fears multiplied that government law enforcement agencies were behind the shutdown. Just like in the Bitcoinica case, there is also a substantial sum of Bitcoin deposits stored with the site, and so thousands of Bitcoin users around the world have a significant financial stake in the matter. In this interview, McCarthy will discuss the reasons behind the GLBSE's shutdown, the historical background to the disagreement with his former business partner and currently most vocal opponent Theymos, and his perspective on the legality of Bitcoin services as a whole. Vitalik: So, to start off, the main question that we're all wondering about is: what happened? Why was the glbse shut down? James: Well, after getting involved with Pirate, I lost nearly all the bitcoin that GLBSE users had left with us. Vitalik: What do you mean "getting involved with Pirate"? James: I kid, I kid. 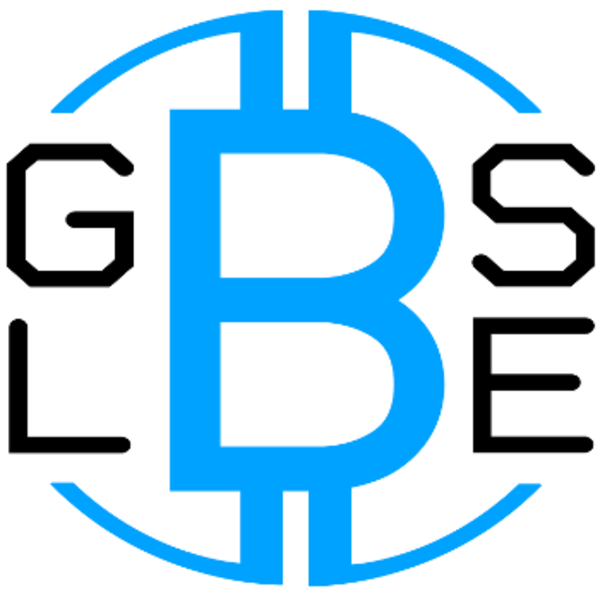 So basically, when I started GLBSE bitcoin was still considered very experimental. It wasn't too long after that Pizza had been bought for 10K BTC. And for a long time GLBSE itself was very much a toy. We didn't reach any sort of success until Feb/March this year. I've heard people asking why didn't we involve a lawyer when the whole thing started, but the truth of the fact is that this was just a fun cool project, and it only became an issue when we became succesful. Also, at that time Intersango had just gotten a letter from the FSA stating that they didn't consider bitcoin as currency. Fast forward to just after the Bitcoin2012 conference in London, which was an awesome event with some amazing people. I had just moved to London and the decision was made to make GLBSE a legitimate company. We were succesful enough that it was certainly worth our while getting a solicitor. After spending some time I'd found what I consider to be a pretty good one. This being London, we've got some of the best securities solicitors in the world, so another part of that was my location - I couldn't really find anyone while I was based in China, or even Manchester. So I spoke to the solicitor and explained everything to him, bitcoin, GLBSE, and the community. The solicitor went and spoke to some other people, got a second opinion, and went to the FSA. Keep in mind that this was after BitcoinGlobal had already had a shareholder meeting and the step to become a legit company had been discussed and approved. Fast forward to last week, and the FSA and others finally get back to us. And things have changed. They were now unsure as to what they would consider bitcoin. Regarding the GLBSE, they believed that what was being done is very much a regulated activity. But this isn't the largest problem. Vitalik: You said on IRC that is was anti-money laundering (AML) first, then tax, then the regulations, right? James: Yes. Money laundering and the finance of terrorism became the largest concern. Due to the properties of bitcoin, it's very attractive for criminals, money laundering etc. Also due to the properties of bitcoin, it's especially difficult to detect any relationship between accounts. So, for example, if you put requirements for AML on transactions over a certain size, you have no way to know if smaller transactions are linked. So for AML purposes bitcoin is exceptionally risky. Vitalik: The exchanges seem to be dealing fine with the AML stuff though, is your situation different? James: Yes and no. All existing bitcoin exchanges that are not doing AML on all accounts (even bitcoin only ones) are at risk. In the event that bitcoin is considered a currency (which is highly likely), all existing regulations would then be retro-actively applied depending on jurisdiction. Also, for bitcoin exchanges who are dealing with bank deposits the depositors are somewhat known - as in, they have to transfer in from and out to a bank account, and those are linked to a persons identity. Vitalik: Would you have to AML all accounts or just those above a certain threshold? Because I don't know any exchange that doesn't let you be anonymous for small values. James: The GLBSE was bitcoin only. With bitcoin, it needs to be AML for all accounts. And that's a risk the exchanges are taking. It's not possible to tell if one bitcoin only account is connected or not to any other. A person could split one bitcoin transaction across several accounts, keeping the amount under the AML required level. In fact, this is what some users were discussing on bitcointalk , specifically to avoid the requirement for AML. That's a big risk for exchanges to take and it grows as the popularity of bitcoin grows. This is not just my opinion, this is what the solicitor has told me, and since it's my neck on the line regarding the GLBSE and all it's activities I'm much more inclined to listen to the solicitor - otherwise, why bother getting one? Vitalik: What about the tax issues? Vitalik: you said that you might try to make a legal exchange in the future. What would have to be done for that? James: The initial plan was to make GLBSE itself a legal entity that met all the regulatory requirements, with the hope being that it would be something we could ease into. But it became very clear that this was not going to be possible. Plan B was to shut down GLBSE and start a new company, which from the begining followed all the rules. Vitalik: And that turned out to be impractical too? James: Not at all. Really I don't have a conclusive answer on that, yet. Things in the non-bitcoin economy take a hell of a lot longer to get done than in Bitcoin land; people were complaining about why GLBSE wasn't able to give them their bitcoin back right away (and started freaking out on the forums, in a large part thanks to theymos), really things don't move that quickly offline. Vitalik: Anyway, what are the difficulties with getting users their money back? James: And I wasn't going to do anything without the legals giving the me go ahead to do so. Users also need to keep in mind that it's only been a little over a week since GLBSE shut down. I'm currently wading through the 800+ closed accounts for returning bitcoin and assets. A lot of that has to be done manually. Also, you can't just withdraw your assets since they're something that existed solely on GLBSE. Vitalik: But isn't transferring assets just a matter of telling the issuer who has how many? James: Not exactly. When signing up users never agreed to have their contact details given to the issuer, and most of the issuers need a bitcoin address for them to payout to. Once the form went up, the whole process for closing your account is very very smooth and simple. Vitalik: OK, you have a form up now, asking for email and BTC address. So, if you're fine with giving your contact details to the issuers, the issuers can contact you by email from there. What happens if you don't want that? James: Then you're choosing not to continue your relationship with your issuer. I'm sure your shares will still exist, but your issuer won't know who you are, so you won't be able to collect them. Vitalik: so what is the plan for BTC deposits, if you're not just sending them immediately? James: As you may be aware, there are internal disputes in Bitcoin Global. I was hoping to get them sorted quickly. Since I don't hold all users funds, but I do hold most of them. I'm not sure exactly how much Theymos holds, but it's not what he publicly stated In July/September I had sent Theymos 3K BTC to be able to top up the hot wallet when I was on the road (I was going to be traveling for a few days). Last I remember he had about 1500BTC. Those were users' deposits. Vitalik: but if you have most of the money, would it be possible to do something like returning half pro rata immediately, and then returning the rest when you can? James: I could probably do that. As I said earlier though, I need to go through the 800+ accounts first. Obviously not all of them, do them in batches. The first batch will be getting their coins either later today or early tomorrow. Vitalik: Anyway, what is the internal situation of the company at the moment? I can see theymos is not really on your side anymore. James: He hasn't been on my side for some time. About 2 months ago, I had made a number of technical changes to GLBSE to bump up the speed. This ended up introducing a vulnerability, which was on the site for all of three days before I had found it and fixed it. It was a parallel programming issue. So the result was one user had discovered this vulnerability and had taken advantage of it. The user had gotten away with about 2500BTC. This was a big hit to GLBSE's profits, but we had enough to handle this. After investigation I'd learned the user had a bitcointalk account, naturally with Theymos being the admin (and a BitcoinGlobal shareholder, as well as treasurer) I went to Theymos, provided him with the proof both in the block chain and from our records, to get the guy's personal details. He flat out refused, under no circumstances would he release that information. At that point I thought that this was it and we'd have to just take the loss. Vitalik: Did he say why he was refusing? James: Said he couldn't trust any information or records from GLBSE, or something along that line. So he was a shareholder of glbse but didn't trust the rest of the company? Sounds like that wasn't the first disagreement. Not just a shareholder, the treasurer. It was the first disagreement over anything GLBSE related. I'd given up my position as a moderator on bitcointalk about a year earler over him allowing someone to be hounded off the forum over their sexuality, it wasn't acrimonious though. So really this incident was the first. Moving on from that, I'd gotten the thief's information through other means about a month later (from the theft) and got him to return all of the funds about 2 weeks ago. No easy task getting the information or getting him to return the coins. James: Meh. The fact that Theymos was not willing to help with the theft wasn't brought up in the next shareholder meeting. I was going to, but on the news that GLBSE was going to go legit he said that he would resign and sell out. He didn't like the idea, but thats fine. Not a problem with people disagreeing. So he wanted to sell his (very small) share in GLBSE. After that information I thought the point about the theft was moot. Vitalik: Well, I could understand that - he would need to stop being pseudonymous if btc global became an actual company, right? James: Yes, which was fine. This is why they were going to sell their stake in the business, and I was ok with that. But then, he wasn't happy with my choice to remove Goat from GLBSE. And then with the closing of GLBSE, a shareholder meeting happened on the Friday after it was closed. Theymos put forward a motion to remove me as CEO, but it did not even get 30%. It was him along with two others. We're very unhappy with this course of events. So right after he lost the vote (remember, Theymos never invested anything in GLBSE) he made that post on the forum, and he's been on a quest to do as much damage to me and any GLBSE operations ever since. The others who were with Theymos are the ones who have been posting on the forums. Vitalik: You did say at the conference in London that you were willing to relocate to another country if necessary. James: Yes, but we've not exhausted the options in the UK at all. Vitalik: So you would prefer a tightly regulated, possibly full AML on every issuer and buyer, UK exchange over the status quo someplace in Asia? James: I would prefer to have an exchange/service where real businesses can raise capital for starting or growing without the fear of being arrested. Vitalik: Is it true that the glbse bylaws disallow shutting down the glbse? James: No. The purpose of the bylaws is to maintain and run GLBSE. If GLBSE is to close, then the bylaws have no purpose. Nothing states that GLBSE can't be shutdown. The purpose of this document is to codify the governing bylaws of BitcoinGlobal, whose initial stated purpose is the development and maintenance of the Global Bitcoin Stock Exchange trading platform, but whose operations may extend to other areas with approval of the Members. This is what he is using as his main argument. He interprets this as a ban on the shutdown of GLBSE, when it really states that the purpose of BitcoinGlobal is to run and maintain GLBSE. No GLBSE means there is no purpose in BitcoinGlobal. It's on those grounds he had me labelled as a scammer on the bitcointalk forums. He's also put my life in danger by whipping up members of the forum. I've gotten several phone calls usually at 3-4am in the morning with death threats, one of which knew my address. I've only been living in this address a little over a week. Vitalik: So, is there anything else that has happened this past week? Vitalik: A crowd investing service like Prosper? James: That is where we're looking, crowd funding and the regulations around that area. Can there be a second market for that kind of thing? Sure, but that is something thats not going to be exactly legit. In the long term, and speaking more about Bitcoin rather than the GLBSE specifically, if the largest proportion of the bitcoin economy is made up of black market goods and services, it's going to eventually result in govenments around the world shutting down all the exchanges. This equates to economic sanctions on the "nation" of Bitcoin. So technically you can't stop people using Bitcoin and trading with it, you can choke off the entry points into the economy. Without exchanges Bitcoin for the average person becomes pretty useless. We're nowhere near the point when bitcoin can be self sustaining exchange free. The more legitimate businesses that use Bitcoin, not only will the overall Bitcoin economy grow in general, but the more difficult it will become for governments to cramp down on the exchanges as it will have a legitimate use. So, I guess that's it. Any more questions? Vitalik: No, I think that's all. Thanks for your time!